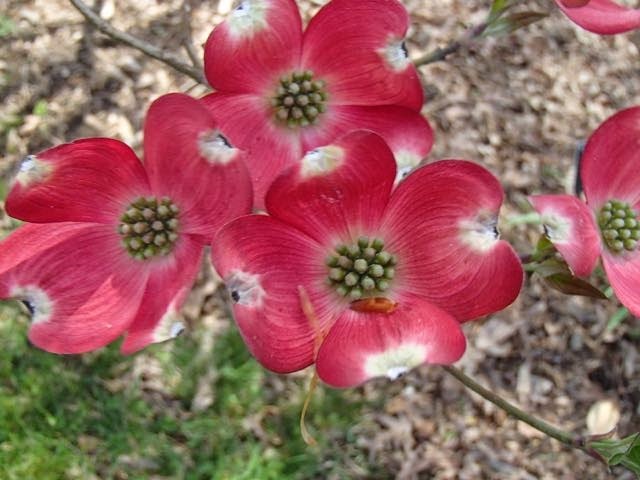 The Dogwood Collection was the main reason I wanted to visit the National Arboretum this time of year. There is parking near it, but it was full and we ended up taking the last spot in parking up the hill for the Asian Collection. 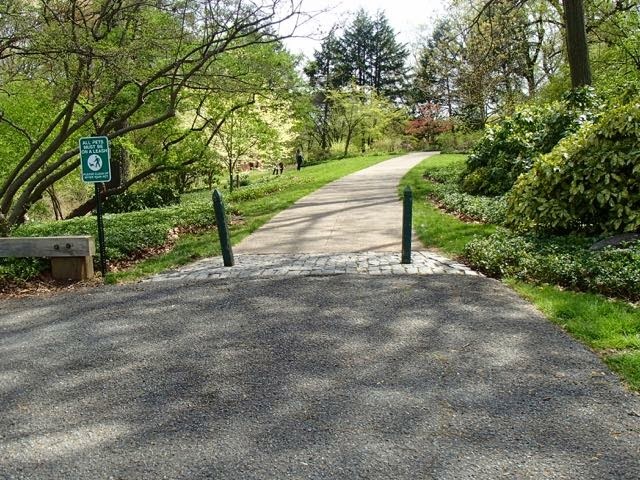 There is a short paved path to a little area with some benches, but it really doesn't get you close to any of the dogwood. The grassy areas you can go on to further explore the collection aren't too hard to navigate, although it is a hillside and there are some holes and Dad almost dumped Mik when he wasn't paying close attention. 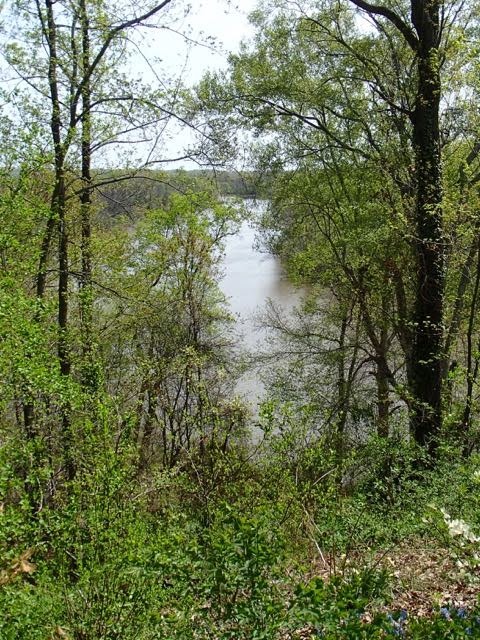 The path also leads to an overlook of the Anacostia River.